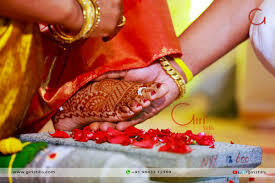 This story is about a married couple in Chennai, Vinod and Kaaviya. They had an arrange marriage, which was against Vinod’s will. Vinod hates love, as he was ditched by his long time girlfriend, Anjali for a richer guy than him. Vinod is the the second son of Chennai’s greatest businessman Krishnakumar. Even though he did not like getting married, he did it for his mother, who desperately wanted her son to have an amazing life. His elder brother Vignesh is married to Priya, a bank manager. He has a younger sister Vaishnavi, who is a college student. Even though he is a short-tempered man, he dearly loves his family. Kaaviya is a sweet and loving young girl who works as a teacher in a school. She loves her family a lot. Her father is a engineer, who loves his daughter Kaaviya dearly, more than his 2 sons, Kaushik and Kishore and his second daughter, Keethy. Kaushik is married to Diya. Kaaviya thought that her life is settled and she has someone who would dearly love her back, when she got engaged to Vinod. Her dreams shattered when Vinod told her that he is not interested in this marriage, the night before the Big Day. The post Marriage – A Love Journey For Lifetime (Intro) appeared first on Telly Updates.